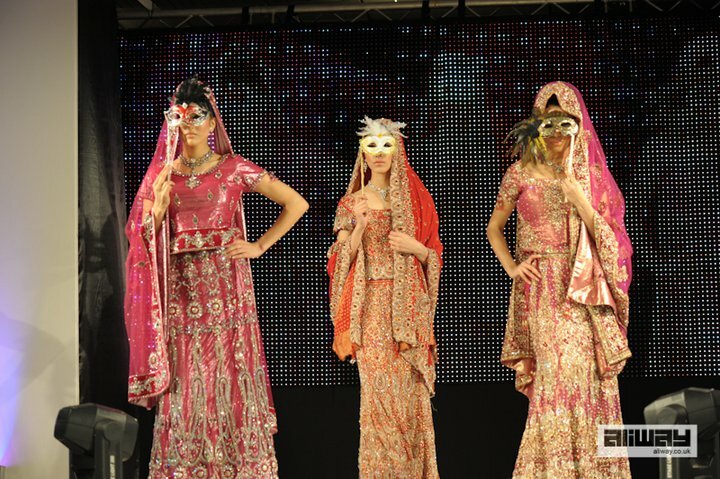 Last weekend I attended the Asian Bridal and Lifestyle Exhibition at the Hilton Hotel in Bradford. As someone who isn't planning a wedding at the moment my main reason for going was of course the fashion show, but I also took a look around at the exhibition stands to see what was on offer for the brides and grooms-to-be of 2011. I felt this event was a lot smaller than some of the magazine-sponsored shows...but then again the entry price of £5 was also a lot cheaper than Asiana Magazine's bridal show and Asian Woman Magazine's show. This event had collections by Bombay Stores, Ishy's Boutique, Khushboos by Chand, Harkirans, Kyles Collection and asian fashion blog favourite Ziggi Studio. I'll be posting more detailed photos of the indivual outfits from the fashion show later on this week, but in the meantime here's a sneak preview. Photos have very kindly been provided by Aliway Photography, to view more photos from this event visit the Aliway Facebook page. 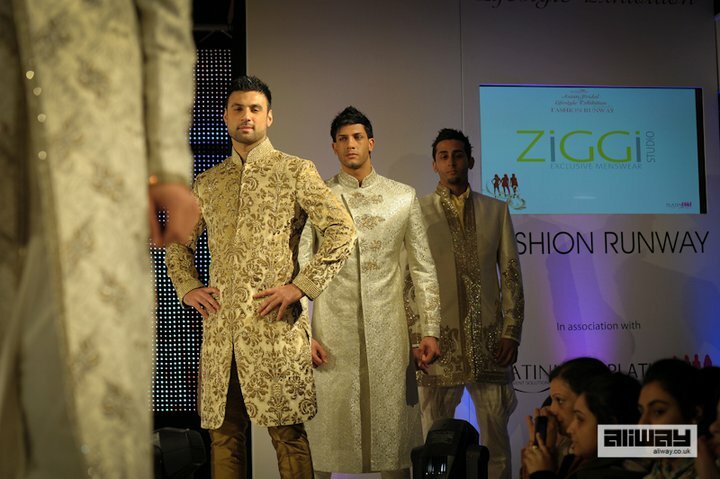 They had two slots on the catwalk and showcased both bridalwear and more casual/partywear outfits. I liked most of what I saw from their collection, but considering how big their store is you can imagine that they'd have something to suit everyone's tastes. I'm afraid everything I saw from Ishy's Boutique got a big thumbs down from me! Sure the outfits look ok in these photos but having seen their collection up close and in person, there wasn't one single outfit that made me think "I want that" or "I'd wear that". I love love love Kyles Collection, I wish I had an excuse to go out and buy more of their jewellery. 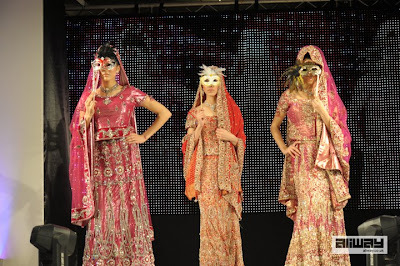 The interesting thing about their catwalk show was the styling and the choice to showcase how you could wear their jewellery with a hijab...although to envision how a real hijabi bride would look you'll have to pretent the model isn't wearing a strapless gown and exposing her arms and shoulders! You know I don't have a bad word to say about Ziggi Studio and yes we've seen these outfits before on the catwalk but up close I'm still amazed by all the intricate details that go into each sherwani. 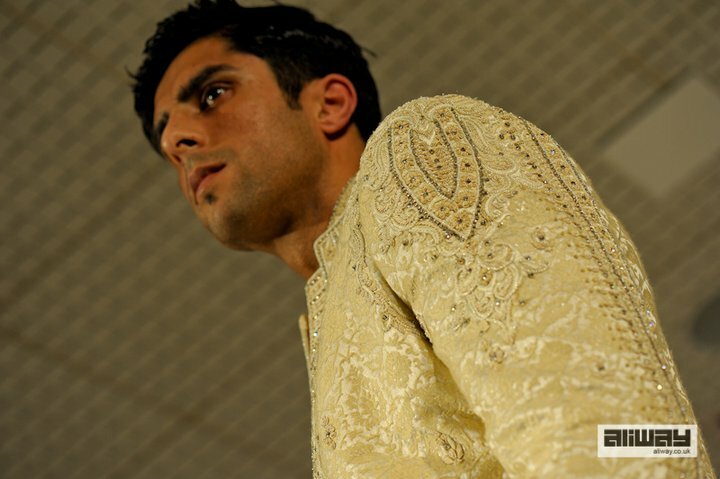 I can't wait to see the new collection which will be debuted at the Asiana Bridal show on the 30th January. Did you attend this show? and did you find it useful? Leave a comment and share your views!